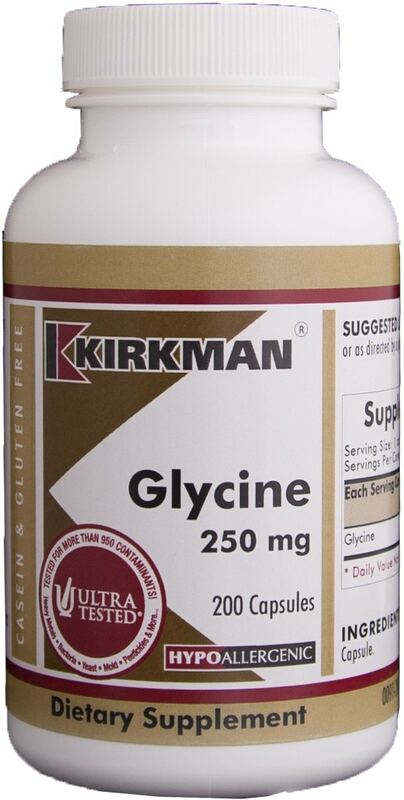 Stimulates glutathione synthesis in the body. 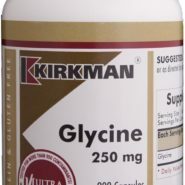 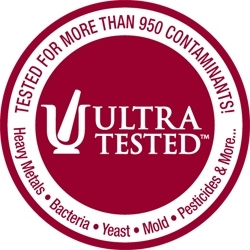 Kirkman’s Glycine 250 mg – Hypoallergenic is made from glycine of exceptional quality and purity. 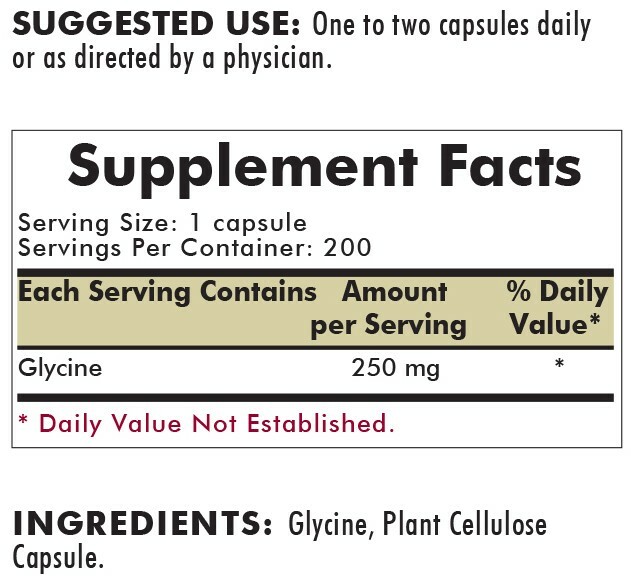 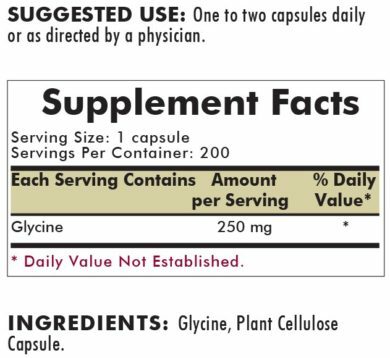 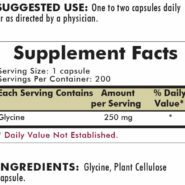 INGREDIENTS: Glycine, Plant Cellulose Capsule.